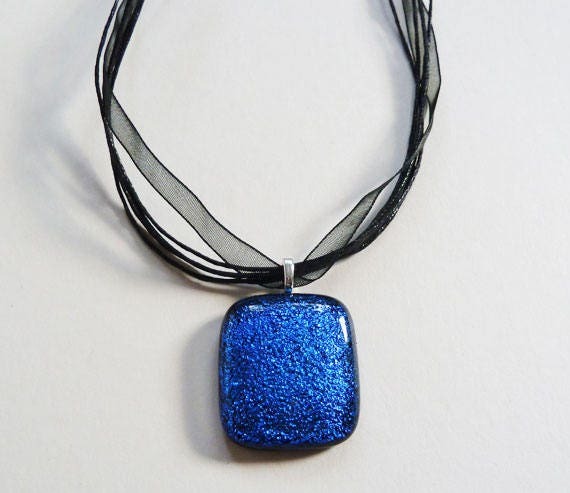 Deep royal blue and black fused dichroic glass pendant. This is a medium sized pendant, about 32mm x 27mm. 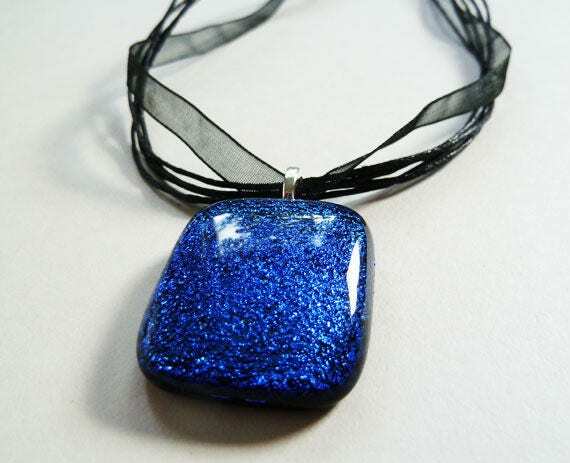 It's made from fused dichroic glass in dark blue and purple tones which shifts & changes as you move it around in the light. Very sparkly, so good for parties, but not so sparkly you couldn't wear it out in the daytime! It hangs from a silver bail on a black multi-string ribbon necklace. It's extendable from about 16" to 18".